At Flaggy Meadow Farm in Washington County, April is when the flagship farm commodity is harvested for processing and marketing. In this instance, the product is wool from the 107 alpacas that share the farm with Shawn and Lori Malloy. The Malloys came to Kentucky several years ago from Maine, intent on establishing a fiber mill. With a lot of hard work and marketing expertise, they’ve made a mark in the “niche farming”business. The line of products they have developed includes “Kentucky Royalty Surino Golf Socks,” which is fast gaining notoriety for its unique comfort. 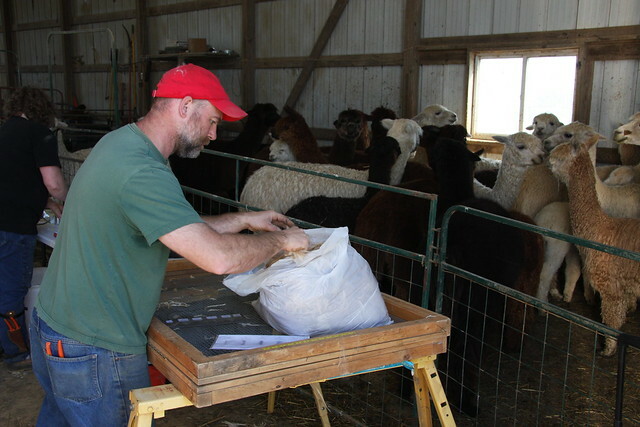 One alpaca renders about five pounds of fiber which, in turn, can produce 50 pair of socks, said Jeff Gonzalez, who is the marketing director. “We certainly don’t want any waste - -which is why we have the experts doing this,” he said. After the animal is sheared the wool is sorted into grades for the mill process. 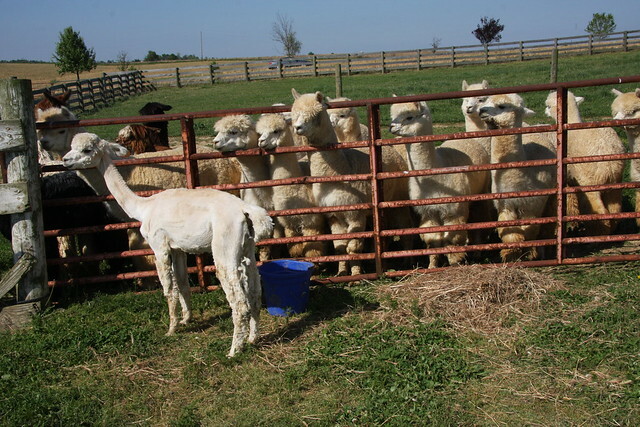 The herd at Flaggy Meadow is among some 500 head of alpacas on three farms within 25 miles of Springfield, the Washington County seat. Flaggy Meadow Farm, which Shawn Malloy has vowed to transform into “an agritourism destination,” is further diversifying with the production of free-range eggs, greenhouse vegetables and farm-raised tiliapia. Check out all the farm has to offer at www.kentuckyroyalty.com and http//flaggymeadowfiberworks.com.